A Mount Breithaupt Brewmance partnership! 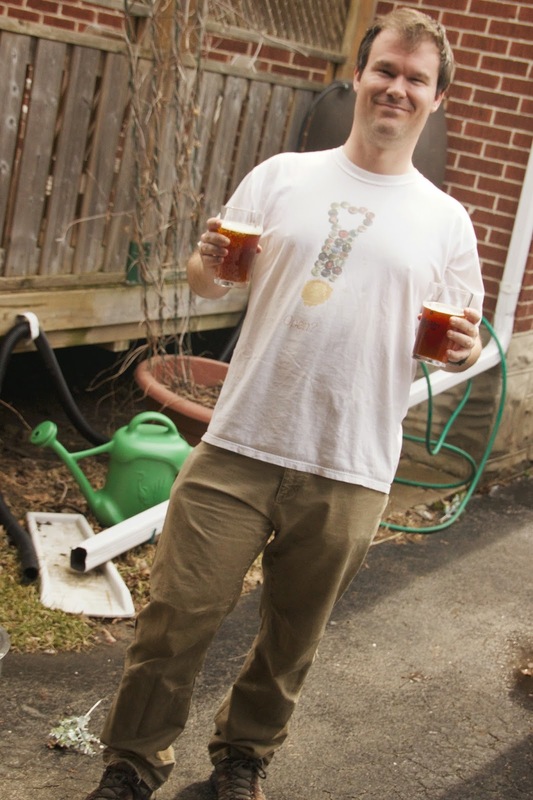 Andrew and I set out to try a much more challenging brew: a (relatively) authentic Pilsner. But it drifted into less authenticky territory as (a) we decided against a decoction mash and instead decided on a simple recirculating step mash in Andrew's 10 gallon Blichmann mash tun and (b) I got a series of messages the night before where Andrew exclaimed that the plentiful supply of Pilsner malt he thought he had was, in fact, Canadian 2-row pale ale malt. But it's cool, man. Lots of people brew pilsners with 2-row. The character will be a little different, but we need to focus on execution. Sunday was a very warm day that started off nice, and turned into a windy, blustery affair that forced the garage door closed. (Lest you think we were setting ourselves up for CO poisoning, the front door was not completely closed and the side door and back window were both opened.) Regardless, a very pleasant day to be outside! As nice as that Blichmann pot is (it has a false bottom, a nice siphon, a temperature probe and even a sight gauge), it has always proved to be a temperamental and this time was no different. Drawing liquid from the bottom and pumping it to the top while the pot sits on the burner is the general idea: the mash bed "sets" well, filtering the wort and also gets more evenly heated. 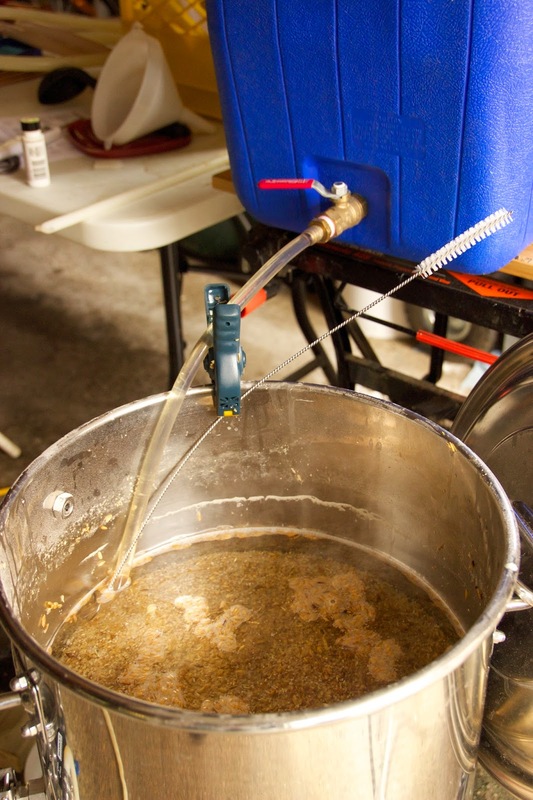 Unlike my Coleman cooler, this kind of mash tun can adjust temperature on the fly. That's if the pump will stay primed, though. Pumps like Andrew's March and my Chugger can't run dry, and don't do well if they're fighting against air in the line. And for reasons not completely understood yet, this is very easy to cause. But Andrew doggedly worked with the pot and though we may have wandered a bit with our ability to control the mash temperature, we still got a good mash out of it, and some extremely clear wort that very efficiently drew off sugars. In fact, our final runnings measured 1.010 gravity, right around the lower cut-off point beyond which you risk drawing tannins out of the mash instead of sugar. The wort didn't stay clear, though. Well, there's lots of hot break, and then there's Egg Drop Soup. This beer managed to look like the latter. But, the nice part is that it's easy to make sure this break doesn't end up in the fermenter (most of it, at least) and it will all settle out nicely anyway. So, between the weather and the wort, we get Windbreaker. 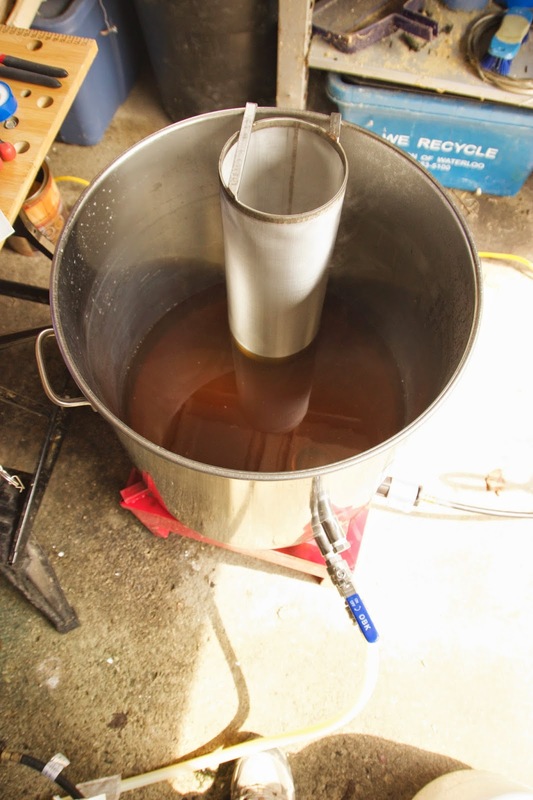 The Coleman serves as Hot Liquor Tank for sparge water going into the notorious Blichmann. Undershot volume a bit this time but gravity was a little over. What that meant is we could top up the fermenters to hit both volume and gravity targets pretty much on the nose. That took a bit more time, of course-- more boiled water, subsequently chilled. I believe we got something like 4.6gal in each fermenter, and topped up with another half a gallon each for just over 5 gallons at 1.050. Now, it ferments for a while on lager yeast, at as cool a temperature I can manage in my basement. I'll likely have to move it into keg to let it cold condition, as it's the only way to fit in a fridge. But if it turns out, it'll make a great beer in June or so. Mash Notes: Two step profile with a protein rest for mashes with unmodified grains or adjuncts. 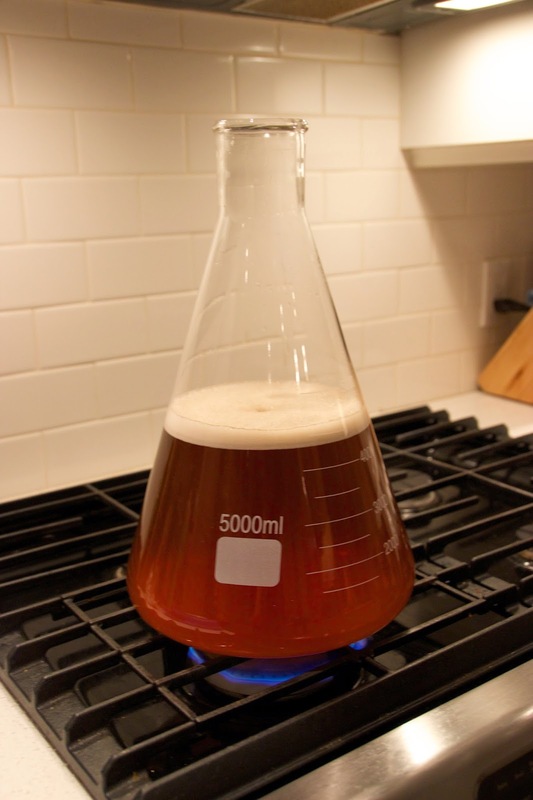 Temperature mash for use when mashing in a brew pot over a heat source such as the stove. Use heat to maintain desired temperature during the mash. Mashing challenges. Protein rest around 118-122F. Accidental "rest" at 140-145 while working out pump problems. Mash temp bouncing 152-156. First runnings 1.092. Final runnings 1.010. Into fermenter: Approx 9.5gal (1 gallon short) @ 1.056. Added 1 gallon boiled RO water to bring to approx 10.5gallon @1.050. Huge hot break! Egg drop soup: possibly all the Carafoam?